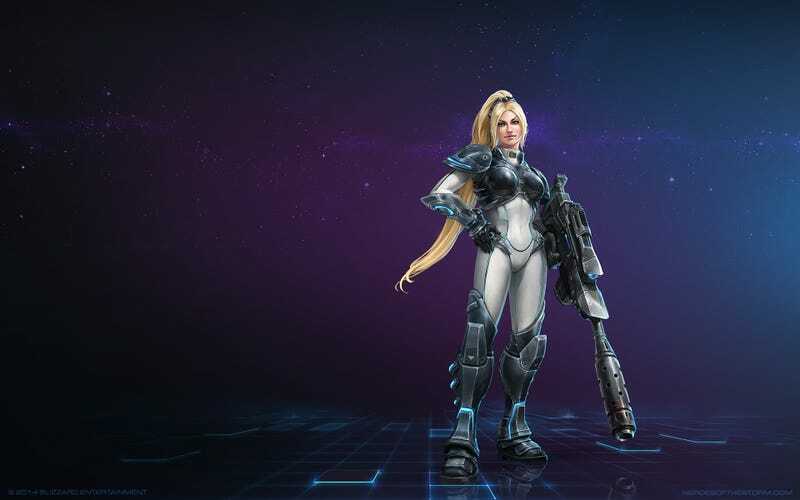 Nova, Dominion Ghost, is one of the characters in Blizzard's upcoming Heroes of the Storm. Below, you'll find wallpaper-sized images of a dozen more heroes, including the Queen of Blades. These paintovers are by Luke Macini, using models by Phil Gonzales and textures by Ted Park.